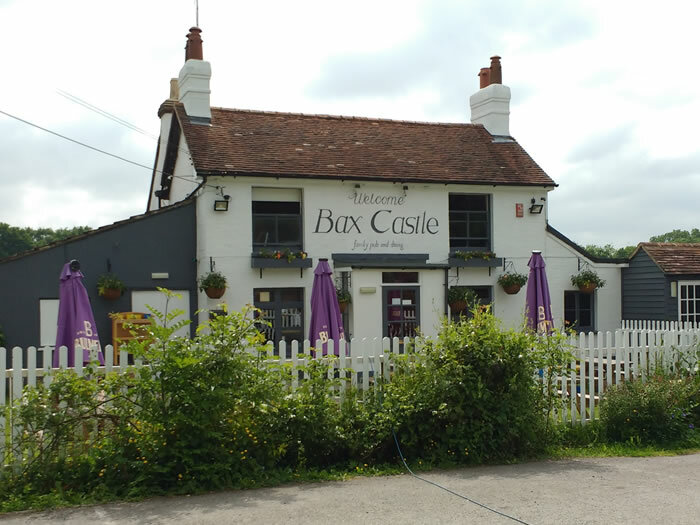 The Bax Castle is situated right next to the Downs Link Trail and there is a short path from the bridleway to the pub. Also, for cyclists, there are are cycle railings provided; good idea! The pub dates from the 15th century and was formerly a weaver's cottage (the weaver was called Bax, hence the pub name). It's a free house serving several different real ales. Large open fire in the winter. Good food and nice garden with children's play area. The Queens Head in Barns Green.